Two pretties posts in a month (barely)! You can tell I'm looking ahead these days. Just the two pretties for you this Wednesday morning/afternoon. But truthfully I was so taken with this pair of covers, I didn't even really want to slap anything else up there with them. I'm content to sit and gaze at them admiringly, imagining what they'll feel like when at last they're in my hands. I read Rowell's first book, Attachments, with uneven results. I adored the first third of the book. Loved the hushed setup full of awkward longing. Unfortunately, the pacing stuttered for me after that and it was a chore to finish. Many loved it though, and I always sort of planned on checking out what she wrote next. This one takes place in 1986 and features a couple of misfits wrestling with first love and mix tapes. I am in deep smit with that cover. Everything about it is awesome. And check out that cover blurb. Not too shabby. And here's one by a lady who comfortably resides on my "I read whatever she writes first and ask questions later" list. Described by the author as "a heartrending future classic" (hehehe), it is rumored also to include Easter eggs and copious amounts of French toast. It's the rain-spotted, neon sign cover with the dog on top that really gets to me, though. With Rosoff it's anyone's guess what you'll find inside. Thank the gods for authors who surprise me. I also had mixed feelings about Attachments, but the premise of Eleanor & Park excites me greatly. I'll add this to my wish list. Good. It's not just me. I think this one might just be better, though. Here's hoping! I love both of those covers--they're so fresh. (I am so over same old, same old covers.) The Picture Me Gone one would jump out at me on a shelf for sure. Exactly. It's a breath of fresh air to see these. Love these! It's nice to see some brightness when it seems so many covers are so dark. Good point, Dina. I hadn't thought of that, but there does seem to be a plethora of darkness lately. Ah E&P love :) The US cover is so much nicer too. 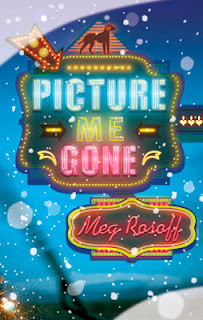 I had no idea about Picture Me Gone, that's such a great cover though, I'm looking forward to it! Your review put me in mind of it, Alexa. I'm really looking forward to E&P. 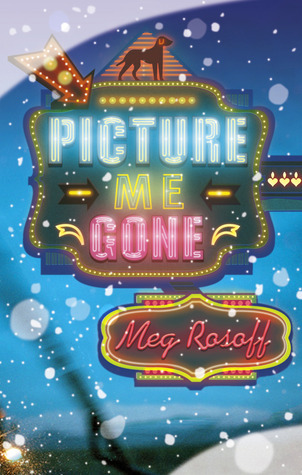 Meg Rosoff is also on my I will read anything she writes list. And yes, that cover is terrific. My pleasure. So nice to have things to look forward to. Now that I've read the post you wrote for us, I know why you probably like Rosoff's How I Live Now. (*cough*) I've been eyeing that cover for a while now. 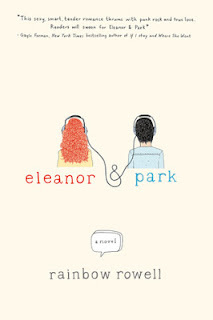 Hadn't heard of the Rainbow Rowell book but it is a pretty adorable cover. Also, 80s? Mix tapes? Psht, like I could even not love those things. HA! I knew I was gonna regret that admission at some point. I swear it's total coincidence . . . But my love for HOW I LIVE NOW runs strong and deep. And the Rowell cover and setup is too good to miss for sure. I keep meaning to read Attachments. I've only read one of Rosoff's books, too (How I Live Now). Rosoff's writing was amazing, but the story took a while to get into. I do have Just In Case, though, and I've heard it's quite good...you're making my TBR shake, Angie. That doesn't help! Her writing really is outstanding, isn't it John? And JUST IN CASE is no exception. I'd read it next for sure.